British retailer Tesco and Volkswagen have teamed up for the development of what would count as the country's largest electric vehicle charging network powered by charging infrastructure provider Pod Point which will offer customers free charging for their vehicles using a normal 7kW charger or the use of a 50 kW charger for a cost in-line with market rates. 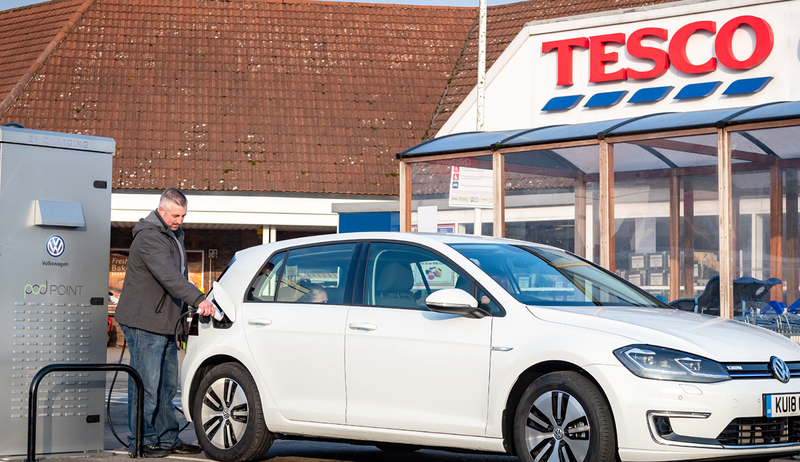 Over 2,400 charging bays will be rolled out across 600 Tesco locations within the next 3 years for this effort playing part in support of a transition to a low-carbon, clean air UK. 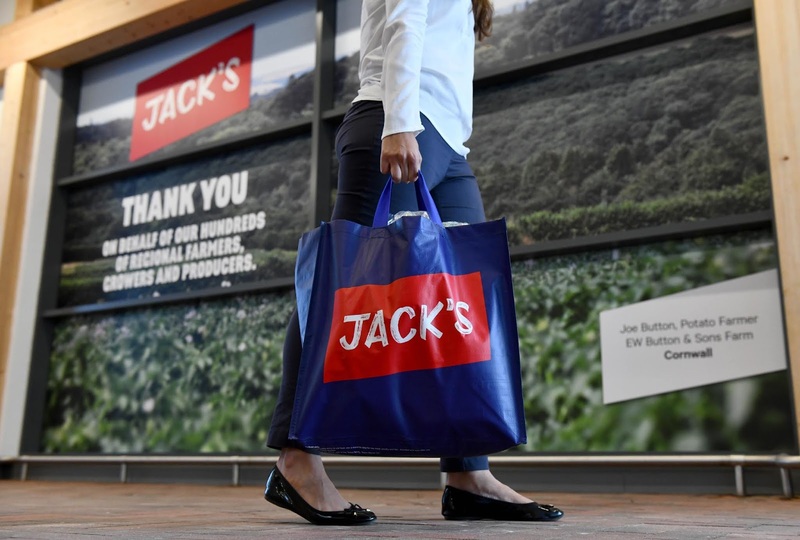 It builds on Tesco's commitment made last year to 100% renewable electricity use by 2030. As of current, charging infrastructure is available in 19 Tesco locations including stores in the regions of Bromley by Bow, Cefn Mawr, Elmers End, Haddington, Stourbridge, Sunderland Retail Park, Swansea Llansmlet, Watford and Woolwich among others. Pod Point is already an official charge point supplier for major auto brands including Volkswagen, Jaguar Land Rover, Mitsubishi, Volvo, Hyundai, Renault, Citroen, Audi and Peugeot in the U.K. and Norway and will play a key part in this Tesco partnership. “This agreement represents a 14% increase in the number of public charge bays in the UK and is a monumental day for electric vehicle drivers. It is a massive leap forward for the UK and a significant step in our mission to put a Pod Point everywhere you park.” Pod Point CEO Erik Fairbairn said. “This incredibly exciting partnership underlines the scale and ambition of our electric car programme in the UK. 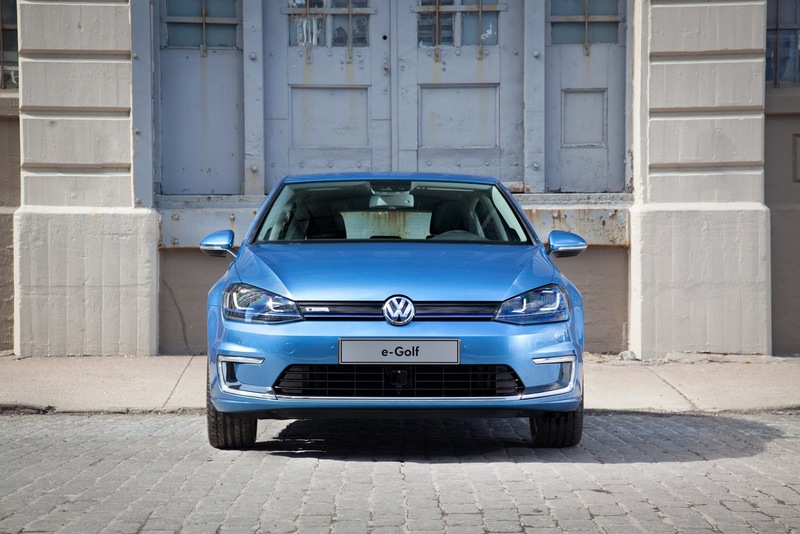 Working with these partners to provide such an extensive network of EV chargers should leave no one in any doubt about the Volkswagen brand’s wholehearted commitment to an electric future.” Volkswagen UK Head of Marketing Geraldine Ingham also said.